Mortal Kombat (AKA MK ir Mortal Kombat: Shinken Kourin Densetsu in Japan) is a 2D 1vs1 fighting game developed by Midway for the Sega Genesis console. 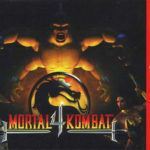 This game is the first one of the MK series, followed by Mortal Kombat 2, MK3 and Ultimate Mortal Kombat 3. Mortal Kombat is not a game for the faint-hearted. It was graphically violent and featured guts and blood as the winning character makes its ‘fatality’ move on his opponent. But, it was also one of the best games ever created for arcades or consoles and easily took away the crown from the aging Street Fighter. Originally released as an arcade game in 1992, it was ported to the Sega Genesis in 1993. It easily became one of the console’s biggest hits and was arguably hailed as the Mortal Kombat’s best home version. Mortal Kombat is a fighting game that had 7 characters that can be played, 2 bosses that can’t be played, and a hidden character that is fightable but also can’t be played. Like Street Fighter series, each character can do a low or high punch, a low or high kick, and some special moves specific to that fighter. The idea is to fight through all the opponents, even against his evil self, to win the tournament. Like the arcade version, the action is frantic and fast and there are no chances for slowing down. Difficulty can be chosen from really easy to almost impossibly hard. Having a six button controller can be really handy for this game as the three button one makes the game’s difficulty twofold. Special moves can also be executed by pressing buttons in a certain series. Graphically, Mortal Kombat for the Sega Genesis 16-bit console was pretty close to the original arcade game. The blood and gore, however, can only be seen by pressing special button combinations. The character sprites were clear and the animation was superb. The voice overs, although few, sound good. The spoken words and the grunts made by the characters are audible and clear. If only the developers included the announcement of the character’s names like it does in the arcade version, it would have been perfect. It’s nice to go back to the games of the past, and this epic game for the Sega Genesis is one of those games that deserve a thorough replaying. 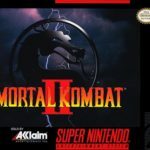 Mortal Kombat has been ported to MS-DOS, Super Nintendo Entertainment System / SNES, Genesis (this version), Sega Game Gear, PlayStation 2, Commodore Amiga, Xbox, PlayStation Portable, and Game Boy. Also, you can play it here online at the top of the page.